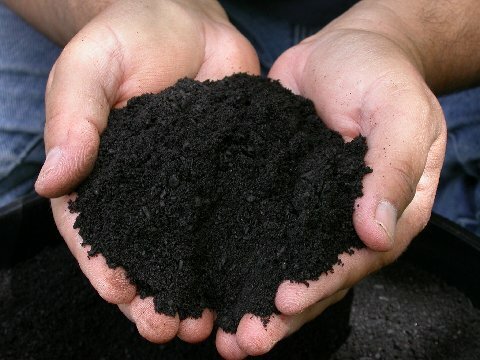 The moisture-retaining capacity of almost any soil can be improved by incorporating bulky organic matter, that’s manure or garden compost from your heap. Light, sandy soils are prone to drying out because the air spaces between soil particles are larger than average. 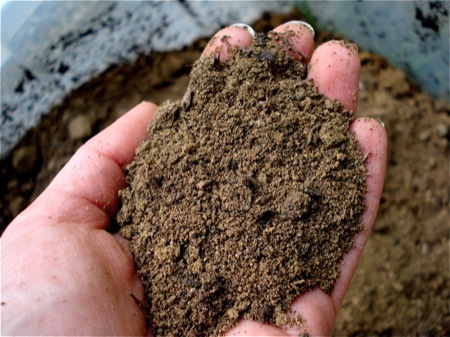 Soil particles hold a thin film of water around them, but because there are fewer, larger soil particles than in a loam soil, (a blend of clay silt and sand particles), less moisture is held after rainfall. Water also drains faster though sandy or chalky soil. If you have a clay soil the particles are tiny and, in wet weather, the spaces between them are filled with water often to the exclusion of air, which explains why this type of soil is prone to water logging. The structure of clay actually incorporates water, which is why it shrinks when dry. Clay soils can hold a huge reservoir of water, but such shrinkage can cause damage to the roots and makes the soils very difficult to cultivate. A clay soil in which plants are wilting might need 81 litres per sq metre (17.5 gallons per 10 sq ft) and a sandy soil in which plants are wilting might need 60 litres per sq metre (12.2 gallons per 10 sq ft).As a general guide, up to 24 litres per sq metre (5.2 gallons per 10 sq ft) every seven to 10 days will be sufficient to maintain plant growth. Humus, (that is the end product of the rotted down matter in your compost heap), improves all soils. 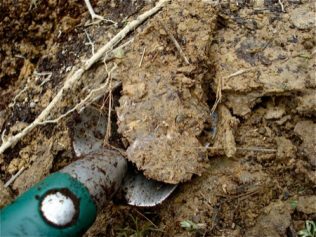 When bulky organic matter is dug into the soil it is broken down by soil organisms and woodlice, slugs, snails etc which then helps the soil bind particles together which forms a crumb structure, a bit like the crumble bit on apple crumble. Humus retains nutrients, reducing the amount washed out of the soil, (this is called leaching) on light soils and holds moisture for longer in dry conditions.